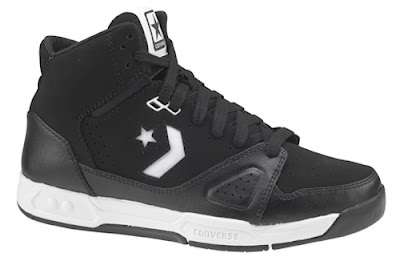 Hello world, I'm really excited about today's post because it's a new basketball shoe from Converse. 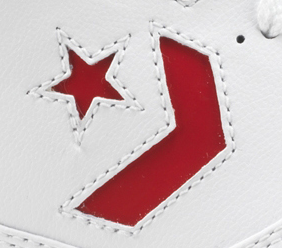 The Converse Drop Step is the 2nd shoe to feature the Converse Balls technology. There is an obvious old school flavor to these, and you should enjoy that very much. I'd love to get a shot of the outsole to see how the Balls technology looks with this set up. As you've probably already noticed the Drop Step does not have visible Balls Technology, at least in the midsole. I've got a pretty good feeling that you can see it from the outsole. 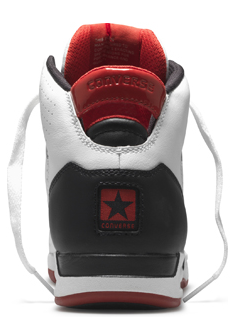 The Drop Step first released in the White/Red/Black and Black/White colorways above. You should expect other colors and possibly even an Ox version in the months to come. Below I've taken a few close up shots of some of the more interesting details of the shoe. 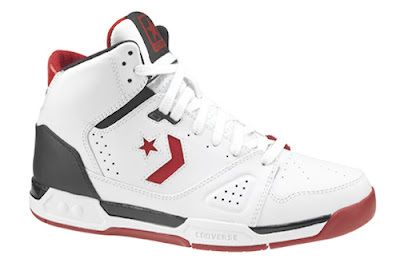 In fact, Acie Law was wearing the Drop Step early in the season when he was actually playing for Golden State. 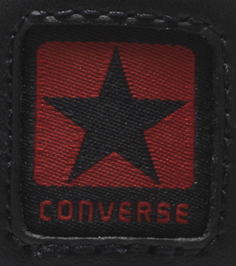 Well that's it for today, thank you very much for checking out The Original Converse Blog. Please tell everyone that we're now at TheConverseBlog.net and you can still follow along on Twitter @TheConverseBlog. Yeah, I ordered these a couple of weeks ago. This is a great, great shoe. Don't hesitate. Buy a pair. 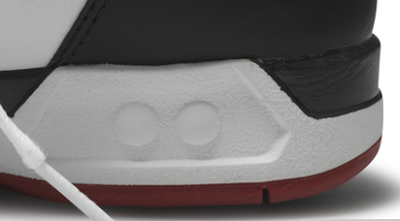 You can see the balls technology in the heel if you look at it from the outsole. So yeah, it is visible. Great looking shoe, I'll definitely check 'em out.